Be it banking, shopping or dating, there’s an app available for everything today! Popularity of mobile apps has increased manifolds over the years. In fact, a report by Go-Globe.com reveals that users spend 89% of mobile time using apps. And the numbers are likely to increase manifolds in the year ahead. Like everything else, there is an ocean of apps available for graphic designing too. But these apps are widely segmented across iPhone and Android apps. Despite being strongly challenged by free Android apps, the iPhone apps continue to be one of the best choices for a large fraction of graphic designers from across the globe. 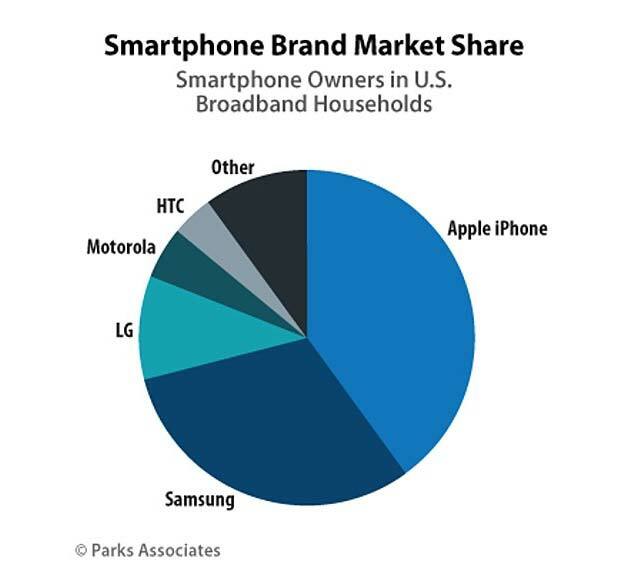 This is because Apple leads the smartphone market holding a beefy 40% share as compared to other phone manufacturers, according to the latest U.S. smartphone market share numbers. The fact that iOS apps are owned by Apple makes it one of the world’s most commonly used smartphone apps. Do you really need iOS Apps? As discussed earlier in this post, iOS apps for designers are far more user-friendly and well designed. In addition to the user-friendliness, the set of features that come packed with iOS apps are much more customizable and easy to use. • More functional apps: Apps for iPad and iPhones are much more functional as compared to Android apps. This makes iOS apps much more useful and functional even for novice designers who have just started out in the industry. • Cross device syncing: iOS apps for designers are easier to sync in multiple Apple products. All thanks to its software-hardware integration, designers can seamless open and perform different actions without installing any additional software. • Relatively lesser malware: Apple’s App Store has much lower count of malicious designing apps as compared to Google’s Play Store, which is infested with countless malicious apps for designers. Okay, you get it! iOS apps are good! But like Android apps, iOS apps too have their fair share of limitations. • Higher cost of ownership: Though 90 percent of App Store offerings are free. Experts believe that iOS apps for designers tend to be more expensive than those for Android smartphones. The ‘Apple Tax’ makes premium designing apps costlier to own designing apps. • More vulnerabilities: The average mobile app has nine vulnerabilities. Of the iOS vulnerabilities, 40 percent were critical or high severity, compared to 36 percent of the Android vulnerabilities. • App customization: In most cases, iOS apps for designers are much less customizable as compared to Android apps. Now that you know everything about iOS apps for designers, it’s time to pick the best iOS app and get started. 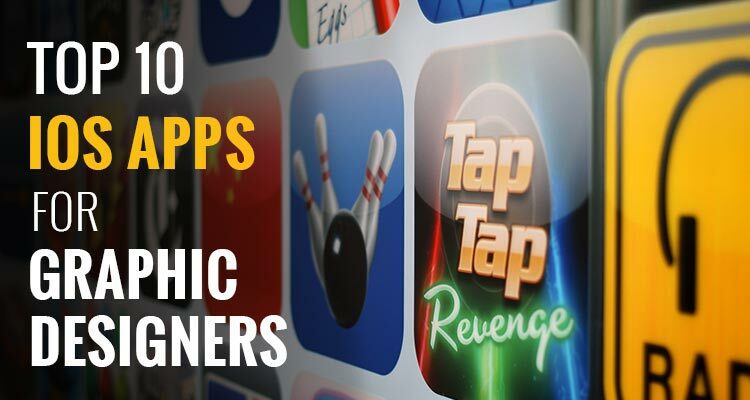 There are 1.5 million apps available on Apple’s app store. So, how would you pick the best apps amongst the lot? Well if you’re looking for some of the best iOS apps for designers in one place, then you’ll LOVE this top 10 list. We’ve especially handpicked these top 10 iOS apps for designers. And you can filter through the list to find the best apps for you. 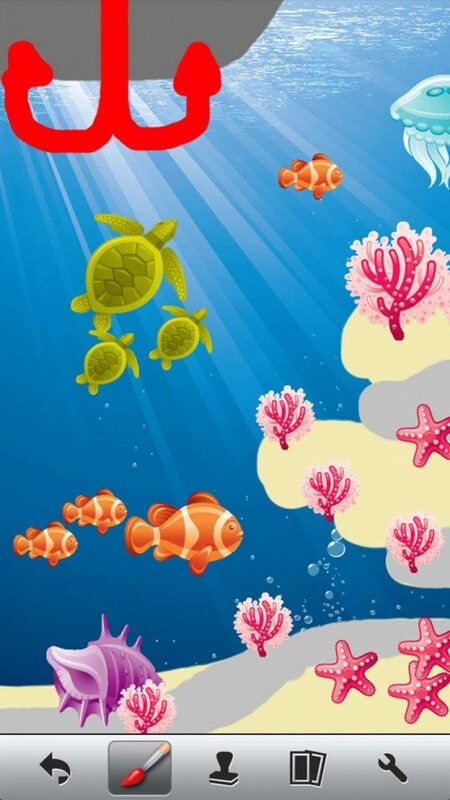 Doodle Buddy is one of the best iOS app for designers who love to paint, draw, scribble and sketch. You need to be an expert to be able to use this amazing app. If you you’re your design isn’t up to the mark, undo your last stroke. Shake your phone and you’re set to start over again. With over 44,000 colors to choose from, you can use paintbrush, glitter pen, chalk and texts to create amazing artwork. Looking to create a freehand drawing or wish to use stencil and draw something amazing, Doodle Buddy has got you covered. 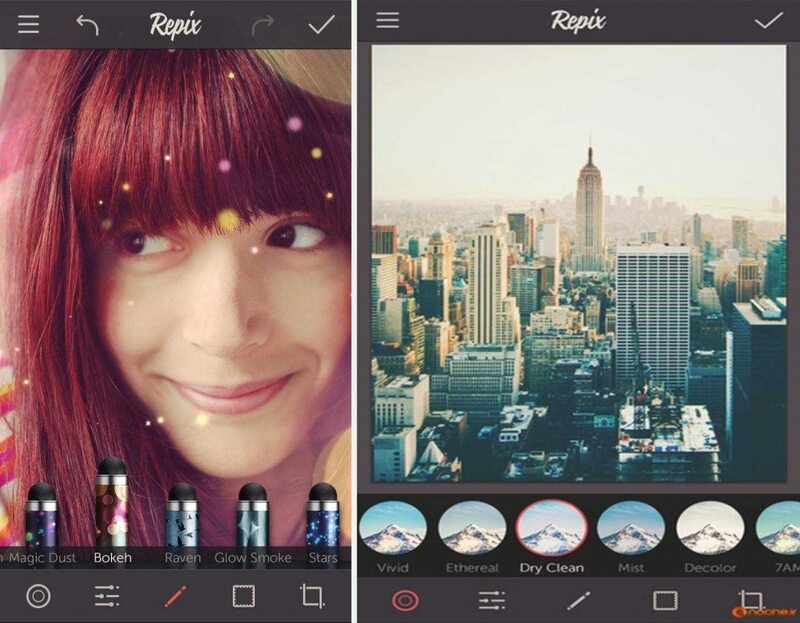 Yet another popular iOS app for designers that consistently tops the popularity chart is Repix photo editor. It’s an inspiring photo editing tool that helps you turn your ordinary pictures into classic artwork. Unlike other photo editors, Repix allows its users to add amazing ‘paint’ filter effects to their images in order to create brilliant effects. You can choose from amongst nine brushes. And if something goes wrong, you always have options for an eraser and an ‘undoer’ brush. 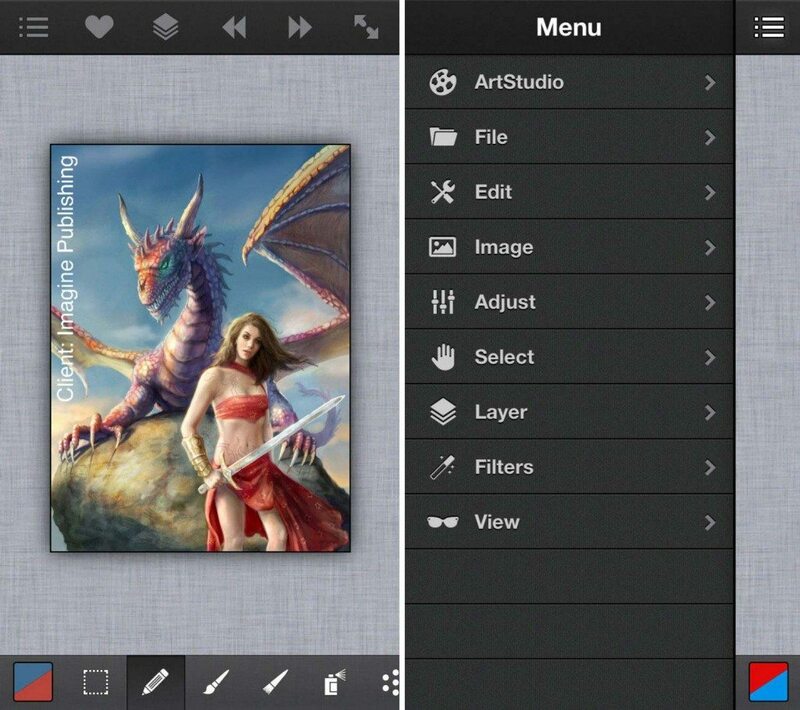 There are many iOS apps for designers available for free, but none beats the popularity of ArtStudio. It is one of the most popular sketching, painting and photo editing tools available for free download at Apple’s App Store, thanks to its brilliant interface and elaborate graphic engine. This amazing app comes packed with a plenty of other helpful features including 16 tools, 150 high quality brushes, layer options, 40 available filters and much more worth spending your time on. 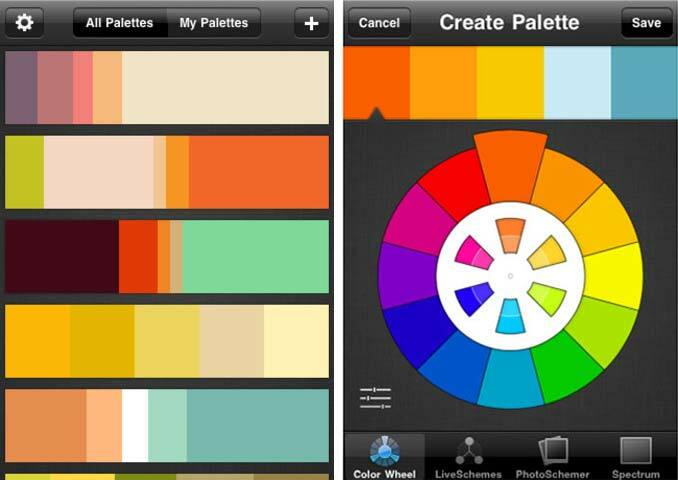 If you’re a color fanatic, this iOS app for designers is sure to become your best friend. Powered by 750,000-member COLOURlovers creative design community, ColorSchemer makes it easy for you to tap into an endless source of ideas and inspiration. ColorSchemer provides a host of color tools to help you create your own palettes, and share them with the thriving community of color fanatics. Yet another brilliant feature that makes ColorSchemer a brilliant tool for graphic designers of all ages and experience is the LiveSchemes tool. Fuzel is yet another brilliant tool that helps you turn your photos into an interesting and share worthy collage within minutes. You may add photo effects, stickers, patterns, labels & frames to your photos. Getting started with this app is super easy and you may easily create a fun animated collage from your photos complete with music & beautiful transition. Want to protect your collage against copyright infringements? Customize with your own watermark. With so much and more on offer, it’s no wonder this amazing iOS app for designers consistently tops all popularity charts. • Developed by: MuseWorks, Inc. 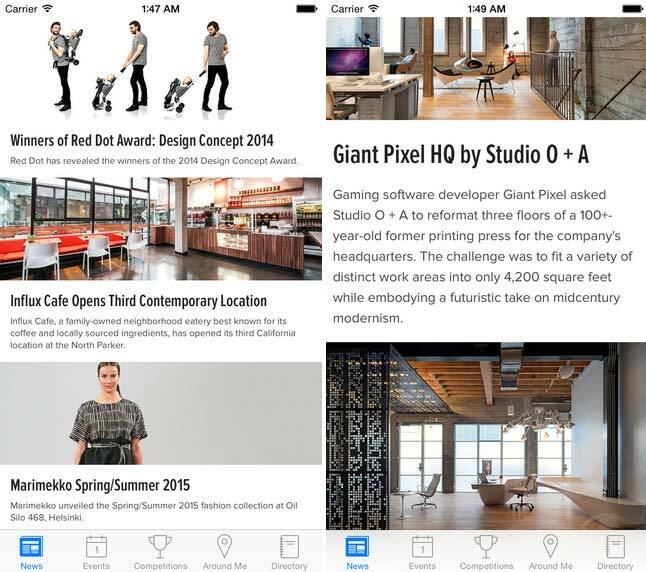 Here is an iOS app for designers that’s loved and trusted by millions from across the globe. 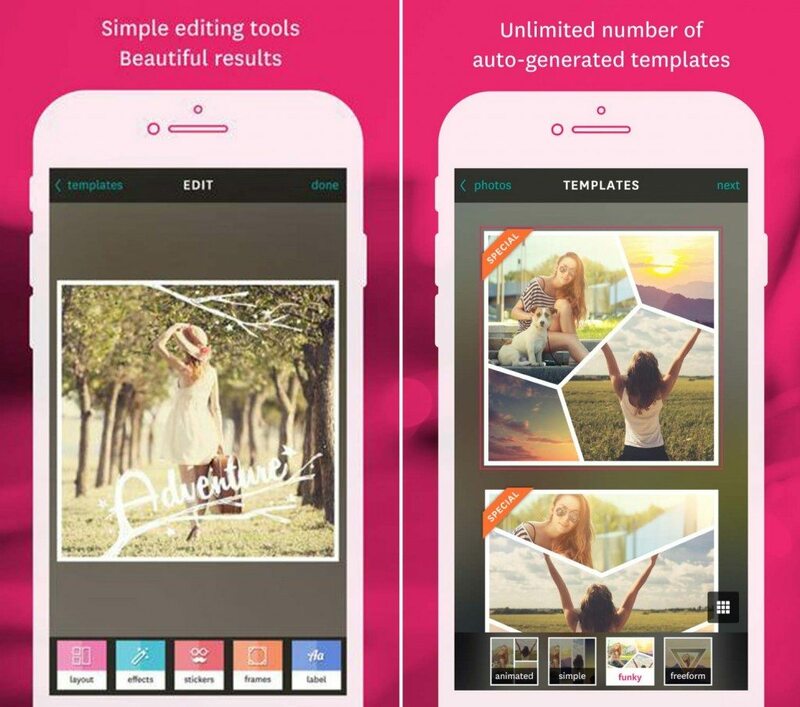 This app was created with an aim to provide a seamless and fun photo editing option to iPhone users. It’s beautiful yet simple interface makes editing as easy as 1,2 and 3. But what really makes this app so popular amongst designers is its typography features. Designers using this app have a multitude of font collections available at their disposal. And if you thought it’s just the typography feature that makes this app special, probably you’ll need to think again. You’ve access to a range of photo effect options along with 100 overlays and masks. Also, there are 20 different filter effects to apply to your photos for quick looks. • Developed by: Qrayon, LLC. 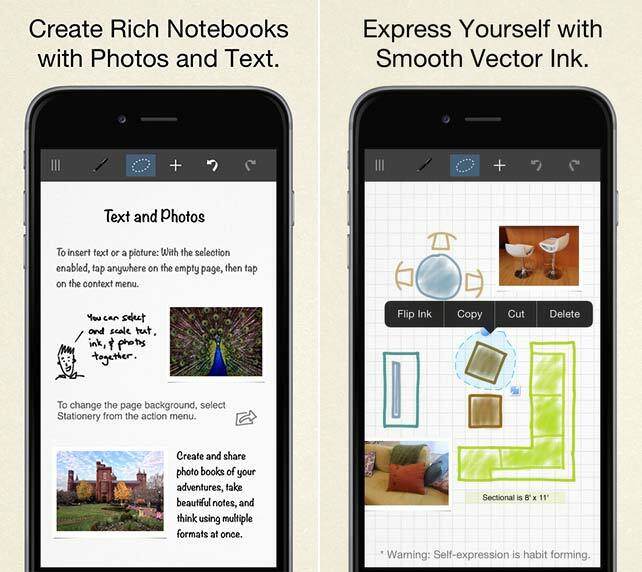 Developed by the Qrayon, Inkflow Visual Notebook is another exciting iOS app for designers that takes the note-taking and brainstorming experience a notch higher. The tool allows you to capture your ideas as easily as with pen and paper, then resize and reorganize them with your fingers. It is a great tool to help out designers with expressive writing or sketching. This tool helps you smoothly scale or move any element you select. A perfect tool for prototyping layouts, sketching, and drawing, Inkflow Visual Notebook will surely change the way you think about the process of graphic designing. Dexigner is one of the best iOS apps for designers looking for information on latest design news, exhibitions, conferences, and competitions. This brilliant app shows an exhaustive list of all the design related information that one might be looking for including designers, museums, organizations, design studios, etc., along with their distance. With exhaustive details on industrial design, illustration, graphic design, fashion, architecture, interior design, animation, and art, Dexigner is your one-stop shop if you’re fishing for information on design related places & people around you. 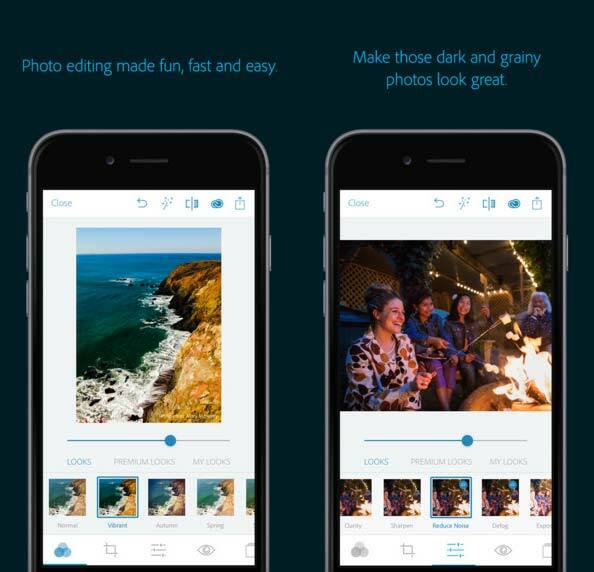 Developed by the renowned Adobe Inc., Adobe Photoshop Express is an exceptional iOS app for designers that makes photo editing fun, fast and easy. You can use this tool to blend multiple photos into a single image, reduce camera blur and apply Content-Aware Fill. With Adobe Photoshop Express, you can easily crop, straighten, rotate and flip your photos. Remove red-eye and pet-eye and remove spots, dirt and dust from your photos with one touch. Take your pick from more than 20 eye-catching effects and control the intensity of looks in your photos. • Developed by: XLabz Technologies Pvt. Ltd. Though there aren’t enough ratings for this app as of now, Logo Foundry is ranked alongside some of the best iOS apps for designers. This iPhone apps helps you conceptualize, and create amazing logo designs. 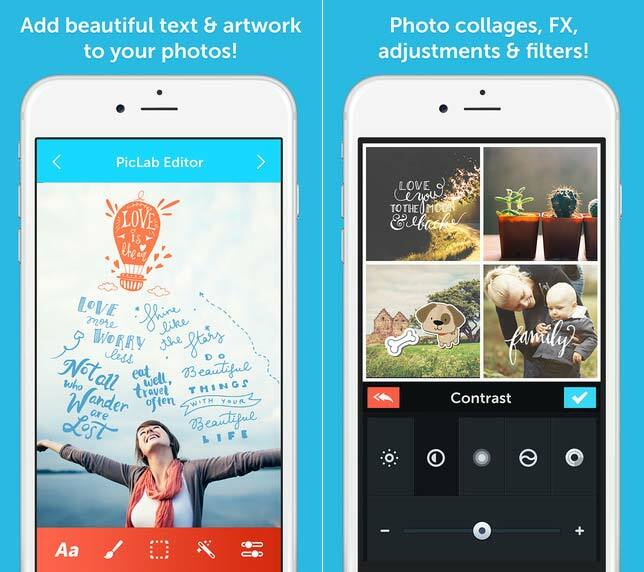 This app helps you add and edit shapes, images, and text. You can use this app to easily create and customize fonts, colors, shape, size, and other basic elements of your logo. If you’re a busy designer and are looking for an app to create logos on the go, this app is the best bet for you. You’ve just seen top 10 iOS apps for designers looking to redefine the mores of creativity and ingenuity. Now it’s time to pick the one that you believe will help you out better with your graphic designing jobs. Do you know some other cool apps that deserve to be on this list? If so, then leave us a quick comment and let us know. Don’t forget to sign up for the free Designhill Newsletter and get more such exclusive information, tips and techniques sent straight into your inbox.